Every year for the last thirty years since I turned 18 and became a citizen, I've paid my taxes. I remember in that first job, selling tickets at a dive theater for minimum wage, just what a big bite that felt like out of my meager paycheck. Every year, our household drops a decent chunk of change into the federal government. It's what we do, because it's part of being an American. I've heard, recently, some folks attempting to defend Donald Trump's avoiding paying taxes as evidence that he's a "genius." They argue that he should somehow be proud of using every trick in the book and then some to keep his money. I dug around in our files, and looked for the biggest tax year we'd had recently. Our fortunes have risen and fallen and clawed back up over the last few years, with job losses and transition. In 2012, we were flush, at the highest income point in our family history. So on our 2012 family return, we paid $27,389 in federal taxes. Donald Trump, being the smartest man in America, probably paid less than that. Or so we'll assume. As a matter of public record, and on the tax returns that they released in the interests of transparency, Bill and Hillary Clinton paid $3.6 million dollars in federal taxes in 2015, every penny of what the highest tax bracket would pay on the $10 million and change they made that year. - When a American soldier loses a limb in combat, the surgeries and hospitalizations and therapy and rehab for that soldier costs money. Over the course of that young soldier's lifetime, that can cost $1.8 million dollars per wounded warrior. Bill and Hillary Clinton's 2015 tax payments would care for two wounded warriors for the rest of their lives. In 2015, Donald Trump in his genius probably gave our wounded veterans nothing. - In the simmering low-intensity conflicts, special forces are increasingly essential. Experienced and well-trained elite warfighters make the difference in dealing with ISIS and the Taliban. Bill and Hillary Clinton's tax bill paid the salaries and benefits for a full squad of Army Rangers. In 2015, Donald Trump in his genius probably gave our best-of-the-best soldiers nothing. - A few years ago, I traveled to NASA's Wallops Island launch facility with my boys. There, we watched America launch a rocket, a swords-into-plowshares repurposed ICBM that roared on a tongue of fire through the night sky, on its way to explore the moon. As my boys and I whooped and hollered with the crowd, it was one of my proudest moments as an American. Bill and Hillary Clinton's tax bill would have paid for 10 NASA launch specialists, those proud Americans who work together to make our space program possible. In 2015, Donald Trump in his genius probably gave NASA nothing. - For driven young men and women looking to advance their education, federal Pell Grants help make it possible for them to attend college, with no need to worry about repayment. Bill and Hillary Clinton's 2015 federal tax bill would have provided nearly 600 students with the maximum award. In 2015, Donald Trump in his genius probably gave these striving young Americans nothing. - With a massive hurricane bearing down on Florida and Georgia, all eyes are on the NOAA/NHC meteorologists whose 24/7 dedication allows us to prepare for these disasters and saves countless lives. Bill and Hillary Clinton's 2015 federal tax payments were enough to support a dozen meteorologists at NOAA and the National Hurricane Center, as well as the salaries for pilots, crew, and the operating costs for one hurricane hunter aircraft. In 2015, Donald Trump in his genius probably gave these quiet, studious heroes nothing. I'm a pastor, and have been for most of my adult life. There's a saying among we Christians, one Jesus himself taught. "Where your treasure is, there your heart will be also." Donald Trump talks a whole bunch about how much he loves America. But when it comes down to it, to the reality of what it takes to make America great and not just his sales pitch, he appears to love his money more. 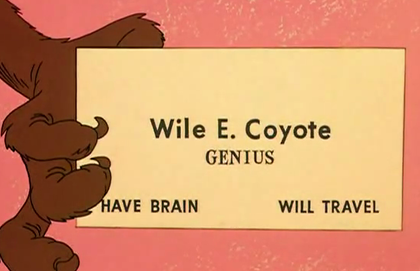 That takes a special kind of genius.